The iMac has undergone its biggest update ever. The stylish desktop computer is brighter, faster and better than ever before and packs quite a bit of grunt behind its sleek good looks. 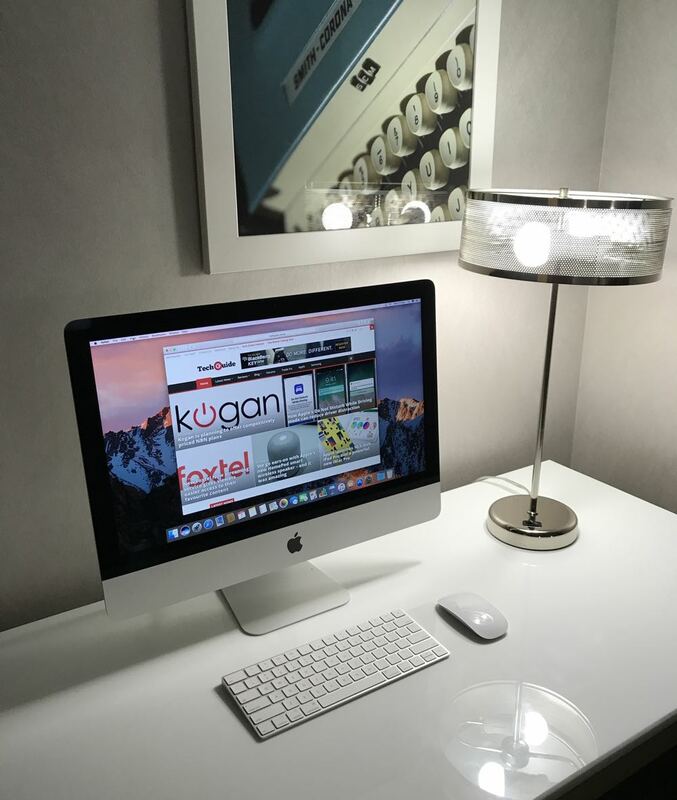 Unveiled at Apple’s worldwide developers conference in San Jose, the iMac family has had some dramatic improvements that will make it attractive to both professionals and consumers. On the design front, there’s not much that is different apart from some additional ports on the rear panel. It still has the distinctive all-in-one design and stand that makes it look like it’s defying gravity. Tech Guide had a chance to spend some time with the new model and the improvements were obvious. 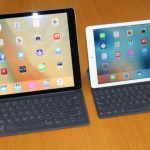 The first thing that caught our attention was the Retina display – it’s 4K on the high end 21.5-inch version and 5K on all the 27-inch models. It is noticeably brighter – 43 per cent brighter to be precise at 500 nits. And it’s also able to support up to a billion colours thanks to a new spatial and temporal pixel dithering technique. 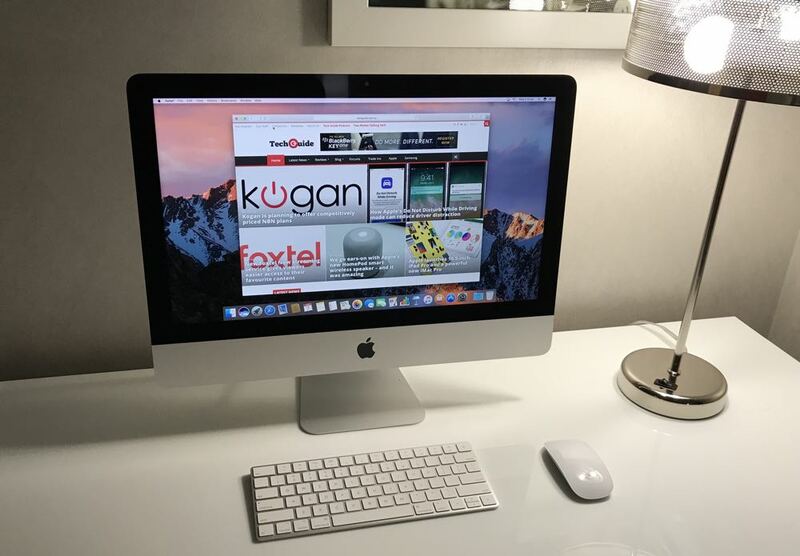 That means this new iMac can match the true and accurate colours photographers and videographers are capturing with their state-of-the-art cameras. It also has a wider colour gamut by using P3 colour that moves away from a standard white LED backlight to advanced red and green phosphor LEDs. That means the three primary colours – red, green and blue – are more balanced and precise. The result is the best Retina display Apple has ever created for the iMac, hands down. So, whether you’re looking at a website, playing a game, editing photos or movies or watching a movie – the iMac looks better than ever. But it’s one thing to look good and another thing to be good. The new iMac delivers on both fronts here. Performance wise, the iMac has had quite a bump and has now hit a level that would impress even the fussiest creative professional. The iMac is now powered by Intel’s Kaby Lake seventh generation processor with turbo boost speeds up to 4.2 GHz (21.5-inch) and 4.5 GHz (27-inch) and an updated graphics processor. 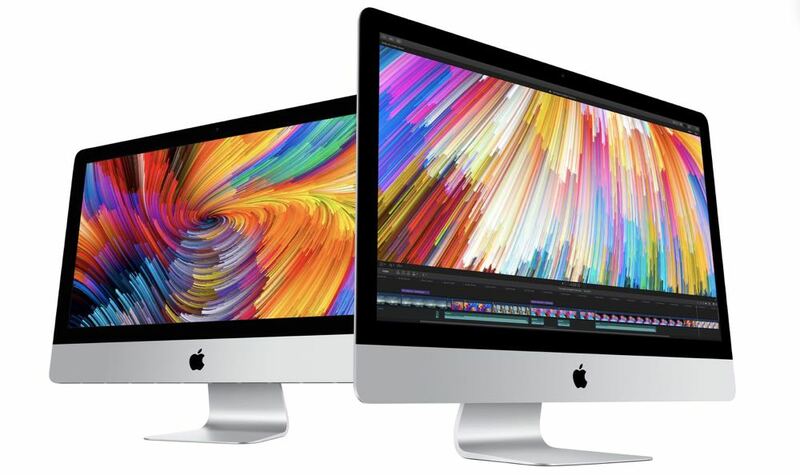 Apple has updated all Retina display iMac models with powerful Radeon Pro 500-series discrete graphics so gaming, 3D graphics and video editing is faster and smoother than ever before. The 21.5 inch iMac can achieve 3X faster gaming and 1.5X faster video editing while the 27 inch can achieve in these areas 1.5X and 1.4X faster respectively. 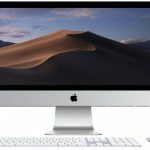 The computers now include DDR4 RAM and you can fit even more in with the 27-inch iMac configurable with up to 64GB RAM. The speed of the computer is obvious and you will notice that when opening applications and performing tasks. Things just happen instantly. But the real appreciation for the power of the new iMac will come when getting through more intensive work like video editing and rendering. It’s good to know that the power is there when you need it. On the storage side, Fusion Drive is now standard on all 27-inch models and the high-end 21.5-inch model with 4K retina display. This makes accessing your favourite apps and most often used files even easier because they are automatically kept on the fast flash storage. The SSD drives are also 50 per cent faster so you can access content and get things done even quicker. Another change is on the connectivity side with two Thunderbolt 3 (USB-C) ports now standard on all iMacs. Thunderbolt 3 can handle data transfer speeds up to 40Gbps – that’s twice as fast as the previous generation. You can also use the same ports to attach external displays and backup drives through a single port. With this connection, not only are you getting faster data transfers but also powering those other products as well. The iMac comes with an all-new wireless Magic Keyboard that now includes the numeric keypad. The 21.5-inch iMac starts at $1,599 for the full HD display, 2.3Ghz processor with turbo boost up to 3.6Ghz, 8GB RAM and 1TB hard drive. 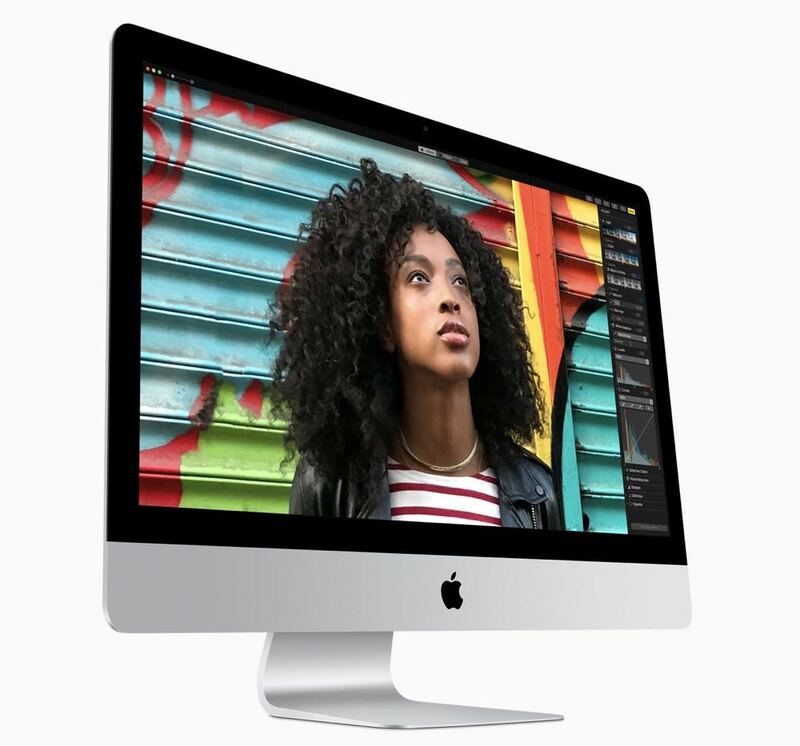 The 21.5-inch Retina 4K iMac is priced at $1,899, 3Ghz processor with turbo boost up to 3.5Ghz, 8GB RAM and 1TB hard drive. The top-of-the-line 21.5-inch iMac is $2,199, 3.4Ghz processor with turbo burst up to 3.8Ghz, 8GB RAM and 1TB Fusion Drive. 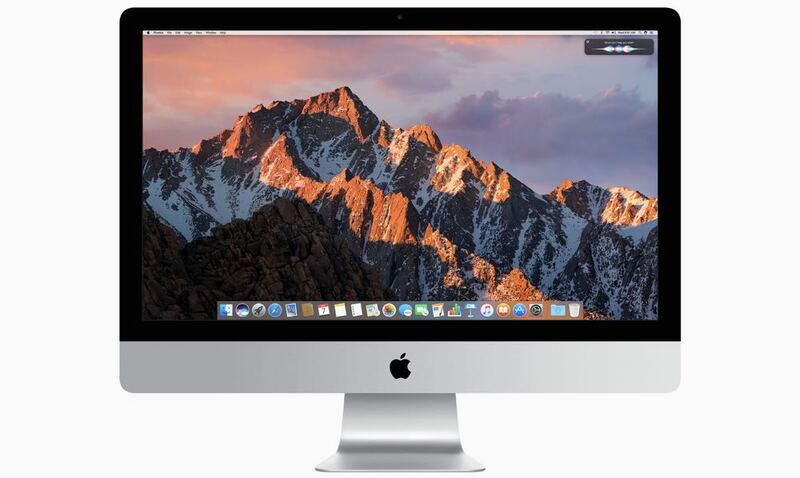 The 27-inch 5K Retina iMac starts at $2,699 for 3.4Ghz processor turbo boost up to 3.8Ghz, 8GB RAM and 1TB Fusion Drive. 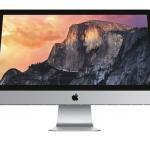 The 3.5Ghz Retina 5K 27-inch iMac is priced at $2,999 with a turbo boost up to 4.1Ghz, 8GB RAM and 1TB Fusion Drive. 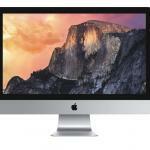 The 3.8Ghz Retina 5K 27-inch iMac is $3,449 with turbo burst up to 4.2Ghz, 8GB RAM and a 2TB Fusion Drive. All of these new iMacs are available now. 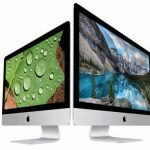 With these updated iMacs, Apple has shown a lot of love to its beloved line of desktop computers. And customers are going to feel the same way. If there is a better all in one desktop computer that is also better value than we just haven’t found it. PROS: Brighter Retina display, faster processor, handles graphics a lot better with a new GPU, Thunderbolt 3 connectivity, sleek design. CONS: Same design - but good looks never go out of style. VERDICT: With these updated iMacs, Apple has shown a lot of love to its beloved line of desktop computers. And customers are going to feel the same way. If there is a better all-in-one desktop computer that is also better value than we just haven't found it.